From 7/25/2018 to 11/11/2018 we can enjoy at the Rialia Museum of Portugalete (Vizcaya) an exhibition focused on the relationship that this monument has maintained with photography throughout the years. 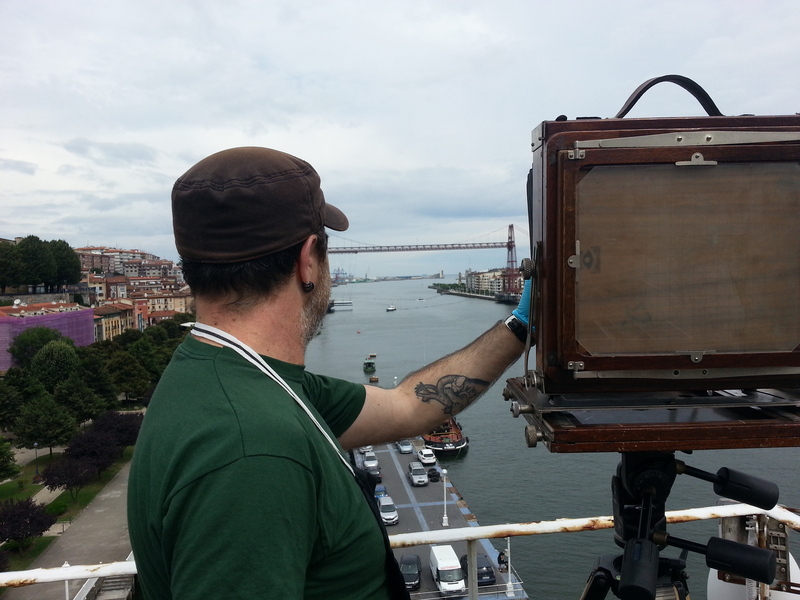 As principal attraction it shows a Camera Obscura where, from inside, it can be admired a wonderful view of the Bizkaia Bridge filtered through the magic of photography. It is a simple Camera Obscura which doesn’t make use of any lense, and its image is projected on a surface of approximately 8×8 meters.